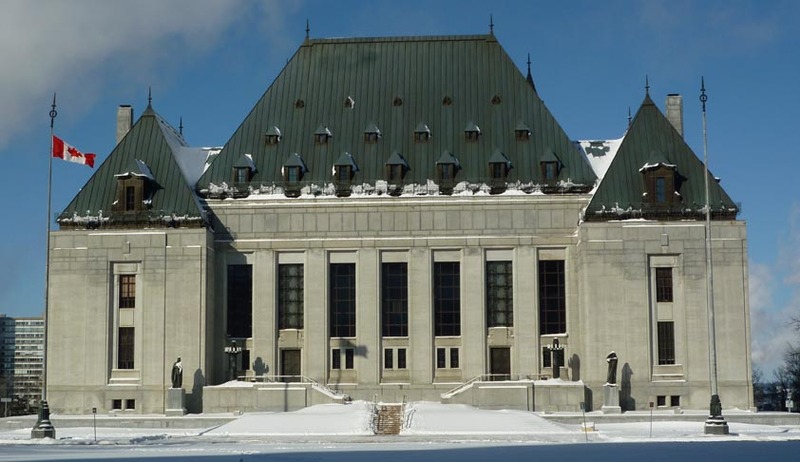 Allowing the appeal by Sri Lankan Tamil Migrants who had challenged the vires of Section 117 of Immigration and Refugee Protection Act (IRPA), the Supreme Court of Canada has held it unconstitutional insofar as it permits prosecution for humanitarian aid to undocumented entrants, mutual assistance amongst asylum‑seekers or assistance to family members. 7 Judges Bench of the Supreme Court unanimously held that the inconsistency is in the over breadth of s. 117 in relation to (1) humanitarian aid to undocumented entrants, (2) mutual aid amongst asylum‑seekers, and (3) assistance to family entering without the required documents. The court said that the preferable remedy is to read down s. 117 of the IRPA, as it was at the time of the alleged offences, as not applying to persons providing humanitarian aid to asylum‑seekers or to asylum‑seekers who provide each other mutual aid (including aid to family members). In 2009, a vessel called the Ocean Lady was apprehended off the west coast of Vancouver Island, and Seventy-six people, all of them Tamils from Sri Lanka, who fled from their native land due to civil war there, were charged underSection 117 of the Immigration and Refugee Protection Act. The said provision in IRPA makes it an offence to “organize, induce, aid or abet” the coming into Canada of people in contravention of the IRPA. Punishment include lengthy imprisonment and disqualification from consideration as a refugee. The migrants challenged the constitutionality of s. 117 of the IRPA , on the ground that it infringes the right to life, liberty and security of person. 117 is unconstitutional because it may lead to the conviction of humanitarian workers or family members assisting asylum-seekers for altruistic reasons. Convicting people in the above said categories exceeds the legislative intent of Section 117and infringes the guarantee of liberty contrary to the principle of fundamental justice against over breadth. The Trial Judge had declared the Section 117 of IRPA unconstitutional. The State preferred appeal. The Appellate Court reversed the findings of Trial Court observing that Section 117(4) requirement of the Attorney General’s consent to prosecute would guard against improper prosecutions on humanitarian grounds, family grounds or other grounds. The court added that if the Attorney General were to authorize prosecution of people assisting close family members or providing humanitarian assistance, the vice would not be over breadth of s. 117(1), but the improper exercise of ministerial discretion under s. 117(4). The migrants the preferred appeal before Supreme Court. Whether 117 of the IRPA threatens liberty, protected by s. 7 of the Charter , in a manner contrary to the principles of fundamental justice. Whether the requirement under 117(4) that the Attorney General authorize prosecution saves s. 117 from the charge or overbreadth by effectively narrowing the scope of s. 117(1) . The court examined the over breadth of the Section 117 IRPA with regard to its Legislative intention, Legislative History etc and said that it appears to criminalize some conduct that bears no relation to its objective. The court added that the purpose of s. 117 is to criminalize the smuggling of people into Canada in the context of organized crime, and does not extend to permitting prosecution for simply assisting family or providing humanitarian or mutual aid to undocumented entrants to Canada. A broad punitive goal that would prosecute persons with no connection to and no furtherance of organized crime is not consistent with Parliament’s purpose as evinced by the text of s. 117 read together with Canada’s international commitments, s. 117 ’s role within the IRPA , the IRPA ’s objects, the history of s. 117 , and the parliamentary debates, the court said. The Court reversing the findings of the Court of Appeals, said that Ministerial discretion, whether conscientiously exercised or not, does not negate the fact that s. 117(1) criminalizes conduct beyond Parliament’s object, and that people whom Parliament did not intend to prosecute are therefore at risk of prosecution, conviction and imprisonment. So long as the provision is on the books, and so long as it is not impossible that the Attorney General could consent to prosecute, a person who assists a family member or who provides mutual or humanitarian assistance to an asylum-seeker entering Canada faces a possibility of imprisonment, the court said. Taking note of the fact that the Section 117 , as it was at the time of the alleged offences, has been replaced by an amendment, the court said that, the preferable remedy is to read down s. 117 as not applicable to persons who give humanitarian, mutual or family assistance, instead of calling it unconstitutional.